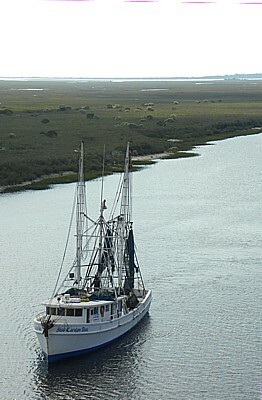 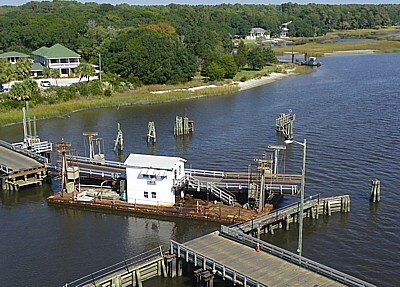 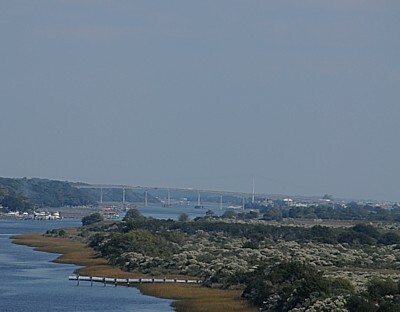 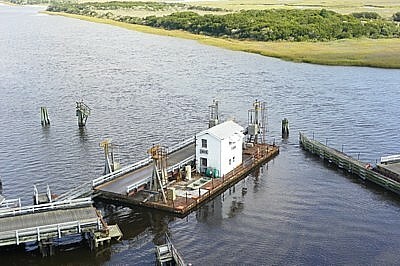 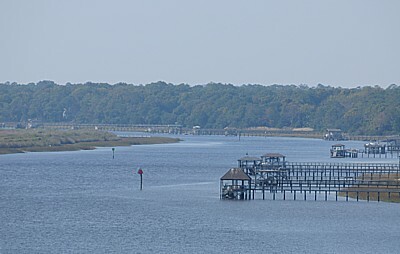 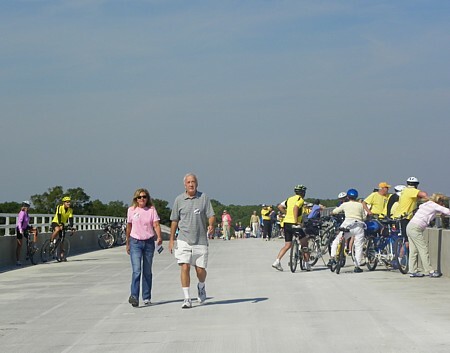 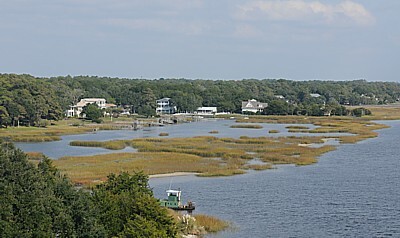 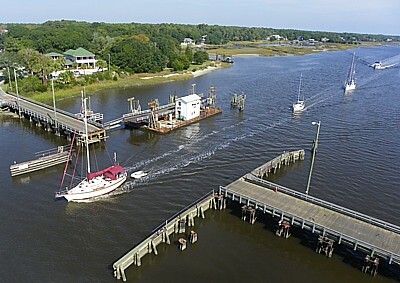 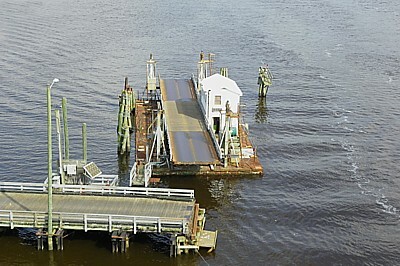 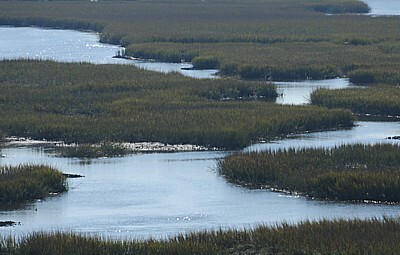 The Mannon C. Gore Bridge Walk on November 1, 2010, was a joyous event shared by residents and lovers of Sunset Beach. 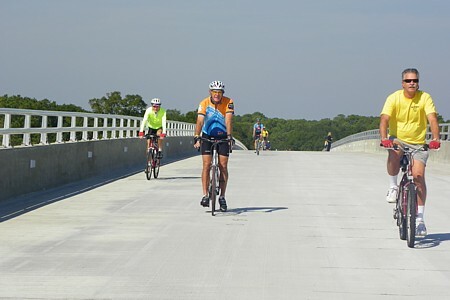 Folks came from other states to participate in the walk or cycle across the bridge. 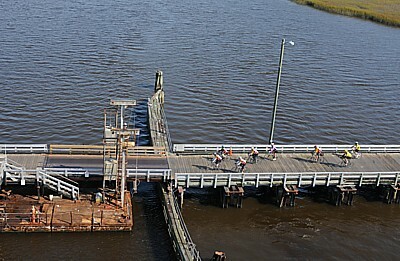 There were baby strollers, dogs, a 3-wheel cruiser and a couple carrying flags. 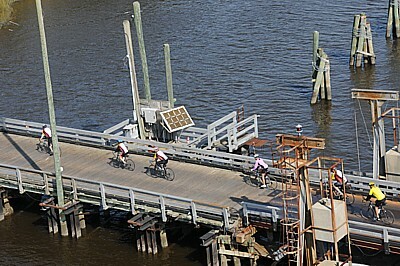 By far the most popular attraction was the old Sunset Beach Bridge. 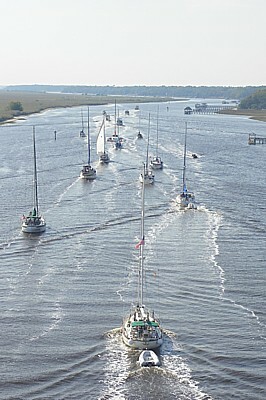 To everyone's delight, a parade of sailboats approached and passed through at 1 PM followed by a second group at 2 PM. 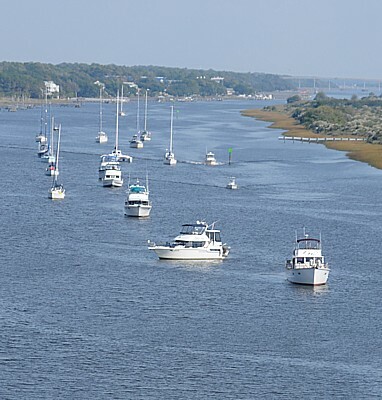 They were thrilled watching the pontoon bridge open, the sailboats pass through, and then seeing their wakes on the opposite side of the bridge as they sailed south. 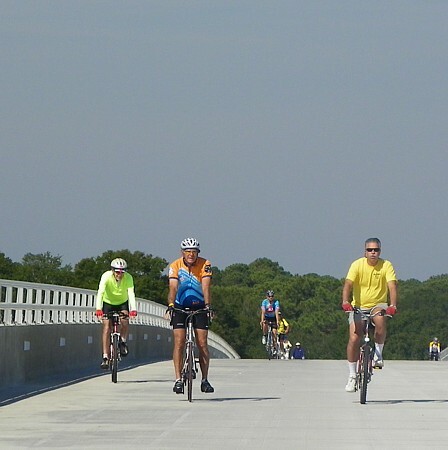 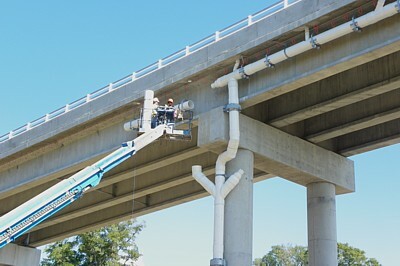 The first persons crossing the new bridge were cyclists. 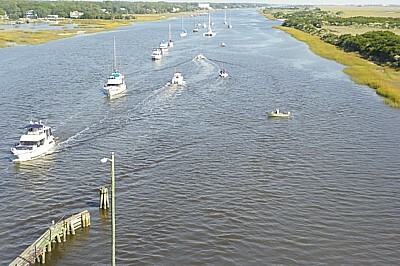 At first they all seemed driven to reach the end until some realized they could stop to enjoy the view. 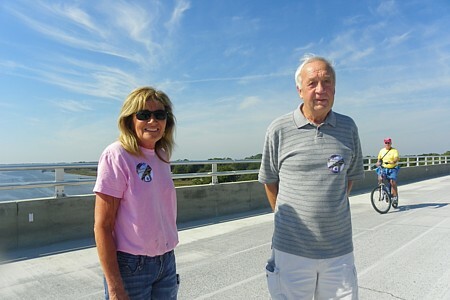 Margie Calhoun and Marvin Gillespie, residents of Seaside Station in Sunset Beach, were the first walkers to reach the apex of the bridge. 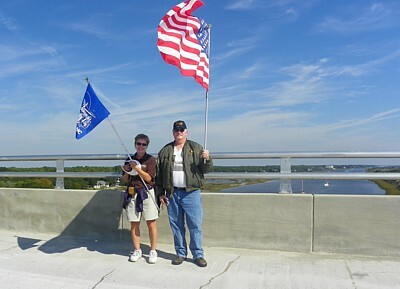 Island residents Erik Jensen and Noelle Kehrberg carried US and Sunset Beach flags. 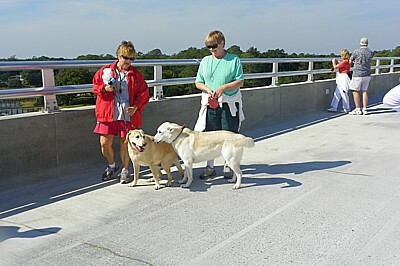 These dogs were the first to cross the bridge.